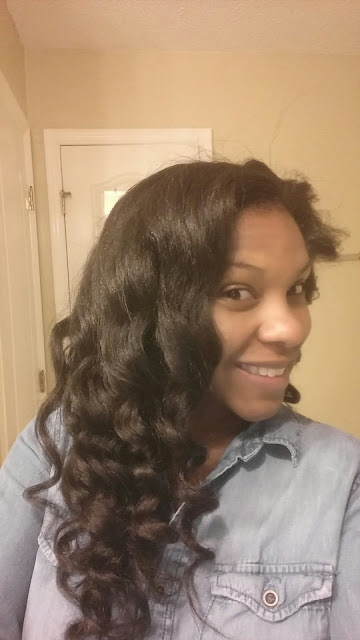 Today I want to share this simple hairstyle that would be perfect for the holidays. 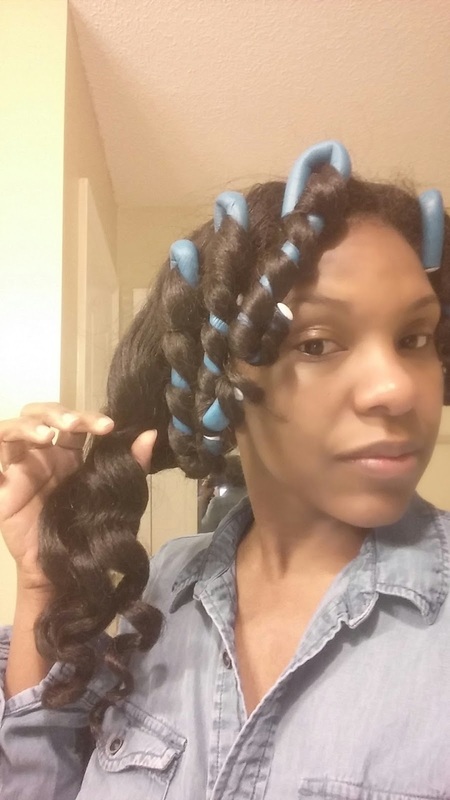 The only thing you need to achieve these beautiful waves are flexing rods. I like to use the blue ones, but the gray ones would work perfect as well. Now that my hair is close to 2 months old, this style is perfect. 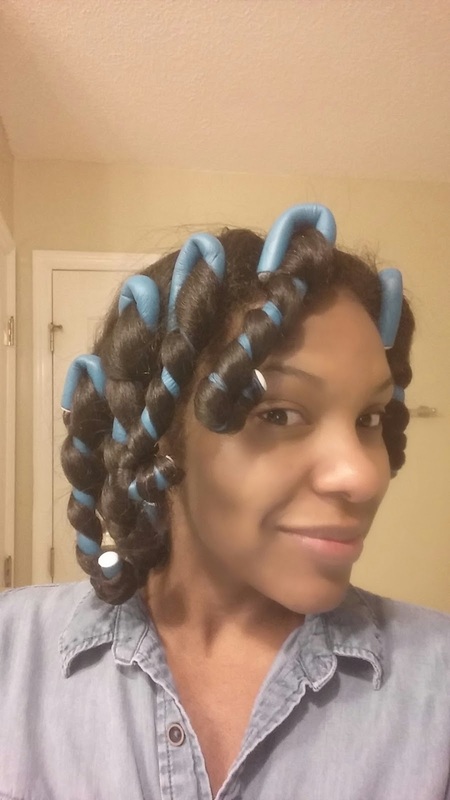 I use 6 or 8 flexing rods and wrap the hair around each rod with a small amount of coconut oil for my ends. The goal is to get more of a wave instead of a spiral. I like to break it apart just a little and then style.